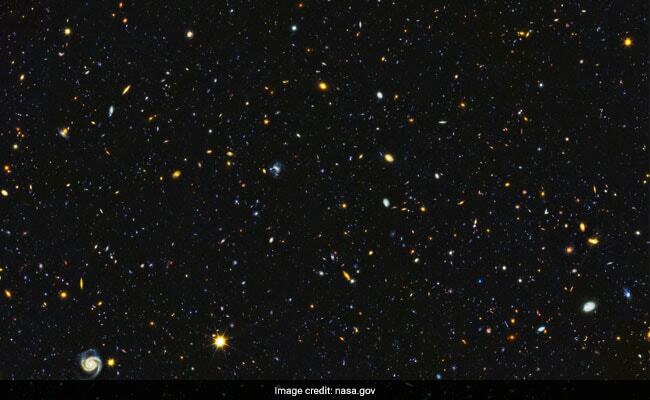 Astronomers with the help of Hubble telescope now have a better understanding of how nearby galaxies grew from small clumps of hot, young stars long ago, said NASA. In one of the largest panoramic views of star birth, astronomers using the ultraviolet vision of NASA's Hubble space telescope have assembled an image that features approximately 15,000 galaxies, about 12,000 of which are forming stars. The image is a portion of the GOODS-North field, which is located in the northern constellation Ursa Major, NASA said in a statement on Thursday. The image straddles the gap between the very distant galaxies, which can only be viewed in infrared light, and closer galaxies, which can be seen across a broad spectrum. The light from distant star-forming regions in remote galaxies started out as ultraviolet, but the expansion of the universe shifted the light into infrared wavelengths. By comparing images of star formation in the distant and nearby universe, astronomers glean a better understanding of how nearby galaxies grew from small clumps of hot, young stars long ago, NASA said. Because Earth's atmosphere filters most ultraviolet light, Hubble can provide some of the most sensitive space-based ultraviolet observations possible.